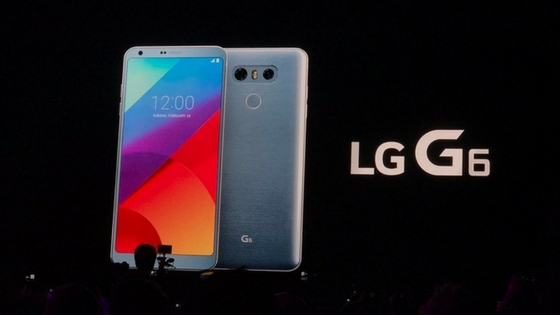 After a series of leaks and rumors, LG has finally lifted the curtains from its latest flagship device, the LG G6, at the Mobile World Congress 2017. The device comes with a 5.7-inch IPS always-on FullVision display with a resolution of 2880x1440 pixels, and a pixel density of 565 ppi. It has an almost bezel-less design, with Corning Gorilla Glass 3 protecting the screen. LG G6 is powered by Qualcomm Snapdragon 821 quad-core processor (two of them clocked at 2.35 GHz, while the rest at 1.6 GHz). It is coupled with Adreno 530 GPU. It comes with 4 GB RAM and 32 GB internal storage. The memory is expandable up to 2 TB via microSD card slot. The rear camera is a dual lens setup (13 MP each) - f/1.8 and f/2.4 combo with dual LED flash. It is paired with a 12 MP front-facing f/2.2 lens. The fingerprint sensor is placed at the rear. The device is dust and water resistant (IP68 certified). The smartphone is packed with 3,300 mAh battery. It supports QuickCharge 3.0. The device runs on UX 6.0 operating system, based on Android Nougat. LG G6 comes in black, platinum and white color variants. © 2015 Today's Trendy. All Rights Reserved. Designed By Blogtipsntricks.